Brad and Angelina support Shiloh's request to be called John. Shiloh isn't called Shiloh any more. And Brad and Ange are totally cool with it. Editor’s Note: Out of respect to the Jolie-Pitts, we have referred to the eight-year-old using gender-neutral “they” pronouns, like many other publications. Brad and Angelina are winning at parenting. Brad Pitt and Angelina Jolie’s oldest biological child wants to be called John and the famous couple are completely supportive of it. 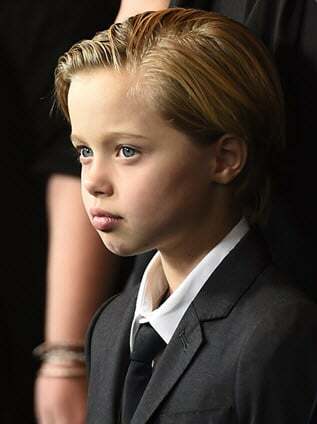 The Jolie-Pitt’s child was named Shiloh at birth. But at about the age of three, the now eight-year-old told the family that they would prefer to be called John. The family had no qualms and were very happy to oblige. 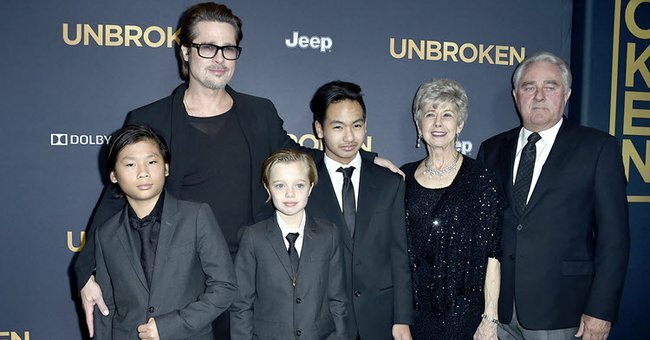 At Angelina Jolie’s premier of Unbroken recently, the eight-year-old was donning a suit along with their brothers Pax and Maddox. The trio looked swanky. The trio looking swanky with Dad. The family have been nothing but supportive of the eight-year-old’s decision to self-identify. They have been wearing stylish suits and ties, and rocking shorter hair dos for some time. “She wants to be a boy. So we had to cut her hair. She likes to wear boys’ everything. She thinks she’s one of the brothers,” Angelina Jolie told Vanity Fair in 2010. The Telegraph UK said that Brad Pitt disclosed in a recent interview that he would call his child ‘Shi’ and they’d interrupt him saying, ‘I’m John’. Shiloh at the Unbroken premiere. The Telegraph have used this as a message to all parents of gender-identifying children. The publication spoke to clinical psychologist, Linda Blair, who told the Telegraph that it was important for parents not to overreact. What is excellent in this example is that this child has parents who are supportive and open to their curiosity and independence. And that this eight-year-old has the freedom to explore their own identity without the judgement of others.